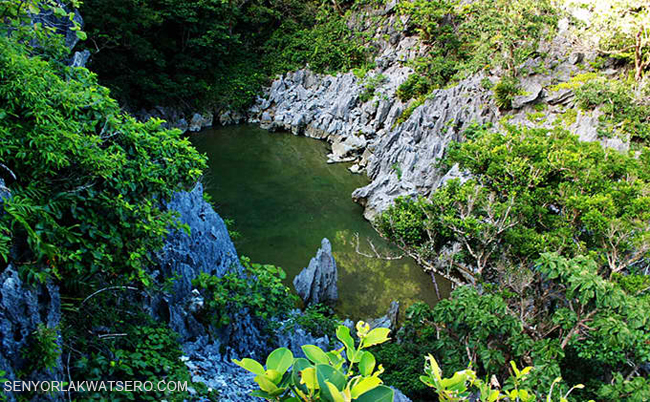 Caramoan is a 2nd class municipality at the Caramoan Peninsula, in the province of Bicol, Camarines Sur, Philippines. Little is known about this beautiful isolated town in the Bicol region until the French Survivor chose this place as a location for their reality TV show. 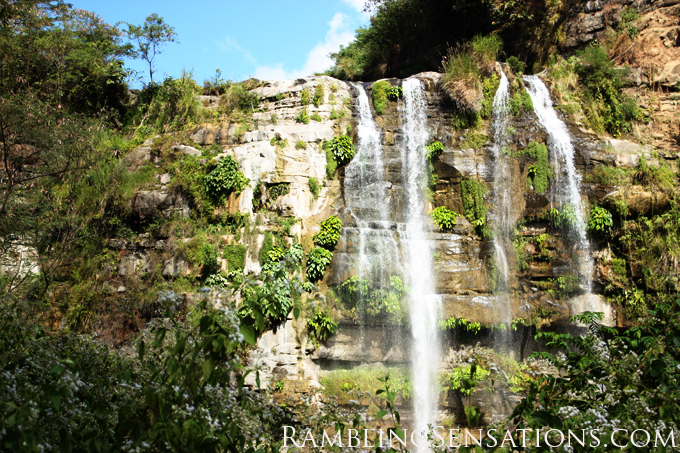 From then on, this once unknown paradise has become popular among local and international tourists. Getting there wasn’t easy. One needs to ride all types of vehicles from plane to bus, van, boat, and tricycle. On Sabang beach, we even had to be carried by men on their shoulders to get on the boat. I found this a little awkward at first but the locals seemed to have been used to this practice. 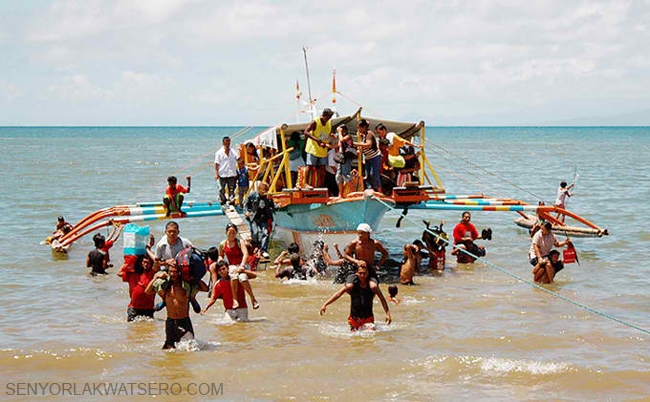 The boat could not dock on the shore and the only way passengers could avoid getting wet was to be carried by these local men for a minimal fee. Local passengers pay P20.00 but I paid a little more than that just because I thought the whole experience was fun. The boat ride was not for the fainthearted though. We traveled against strong winds and big waves which could have overturned the boat. This caused our boat to slow down. And the hardwood benches offered no comfort to the passengers at all. I was seated right on top of gallons of gasoline. The tricycle ride to Paniman beach (jump off point to the islands) was from comfortable either. It was a bumpy ride through rough, narrow roads. It was all worth it, however. It’s amazing how all the hardships that I had to go through quickly faded away when I saw the place. It was really very nice and beautiful there. When we reached Paniman beach, our tricycle driver introduced us to Ramil Cruel, one of the bangkeros in Paniman. Now contrary to his last name, he wasn’t cruel at all. He was actually very nice and seemed to be one of those people who wouldn’t take advantage of the tourists visiting the islands. We told him we wanted a tour of the nearby islands first so we could decide on where to camp for the night. Paniman beach is 15 minutes away from the town proper where most of the accommodations are located so we decided to camp instead of staying in one of the hotels. And I didn’t want to ride a tricycle everyday just to get to the beach. The islands are safe for campers. Before we set off, I asked Ramil if he could provide us freshwater in a container so we’d have something to rinse ourselves before we sleep since I knew all along based on my research that there is no freshwater in any of the islands . Ramil granted us this request without any signs of complaint. With that taken care of, we went to see the islands! We visited Umang cave first, passed by the islands of Hunongan and Gota, then we went to Matukad and Lahus. There are really interesting rock formations everywhere and the water is stunningly clear. We decided to stop at Matukad island for an hour. 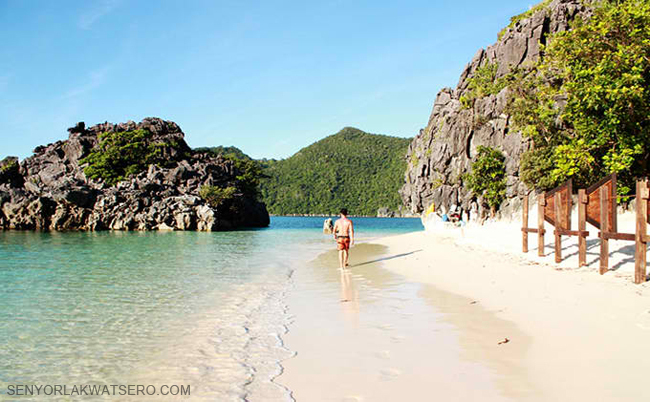 This small island has powder like fine white sands which is comparable to that of Boracay’s. We wanted to camp here for our first night but we were told that Survivor Bulgaria would be shooting there early the next day so they did not allow us to stay in the island for the night. Ramil brought us to Lahus island instead. The small island of Lahus has a beach on both sides, separated by a hill of white sand. Our second day in Lahus was spent mostly on swimming, exploring and lazing around enjoying the beach and the sun. There were other tourists who were island hopping so we’d have company every now and then. Ramil came to pick us up at 3PM and transferred us to Matukad island. He told us that the scheduled Survivor shooting was canceled so we could camp in the island for our second night. There were other tourists in the island when we got there. We found a place to camp, pitched the tent and decided to explore and did some picture-taking. We climbed the rocks to see the secret lagoon too. We woke up early the next day and were greeted by a beautiful sunrise. It was a beautiful day. After breakfast, we still had enough time to enjoy the sand and waters of Matukad Island before our scheduled island hopping. Ramil arrived at 8AM. The weather was fine and the water was very serene. As we traveled, we saw lots of flying fishes which was really an additional treat to an awesome experience. 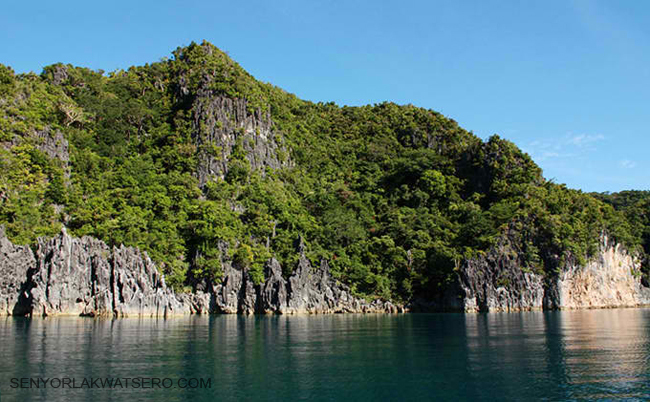 We visited the islands of Pitogo, Tinago and Minalahus. 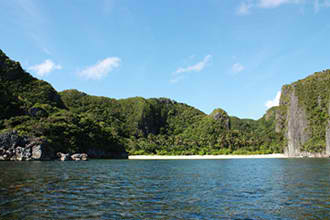 This cannot be considered an island since this is part of the Caramoan mainland. It is a secluded beach however, where a small family lives. There were 4 nipa huts near the beach. The beach itself is beautiful but what pleased me the most was the spring water coming from the mountain. Finally we could take a bath without having to worry about running out of freshwater! The next day, Ramil came early and brought us back to Paniman. There was already a tricycle driver waiting to take us back to Guijalo port. THIS MAY HELP: We started traveling from Manila at around 6:45AM and finally arrived at our destination at 3:30PM. That’s almost a 9-hour trip. And if we took the bus from Manila going to Naga City, that could have been a 17-hour trip. 9:30AM ETD->Naga City to Sabang The vans going to Sabang are located beside SM. We got here at 8:30AM because we dropped by Isarog to secure a ticket back to Manila. The vans station is a 5 to 10-minute walk from the Central Bus Terminal. Unfortunately, a van had just left when we got here. We actually left Naga City at 9:30AM. We needed to wait for other passengers. Fare is P90. 11:00AM ETA> Sabang Port . We arrived here at 11:00AM. Just in time for boarding. Local men would offer to carry you from the shore to the boat. This is the only way you could avoid getting wet when boarding. There’s no standard fee. We paid P50.00 each. But I was told by the other passengers that they usually pay P10. P20 would be a generous amount. 12:00AM ETD > Sabang Port to Gujalo Port . Waiting and passenger boarding plus loading of luggages took about an hour. We left by 12 noon. 2:30PM ETA> Guijaro Port. The boat ride from Sabang to Guijalo took about 2 hours and 20 minutes. We travelled against strong winds and big waves which caused our banca to slow down. Normally travel time from Sabang to Guijalo is 1.5 hours. Fare is P120.We arrived at 2:30PM. 2:30PM ETD > Guijalo to Paniman Beach. We found a tricycle which took us to Caramoan town proper. Fare is P15. From town proper we planned to take another P15 tricycle ride going to Paniman beach. On our way to Caramoan town proper, we talked to the driver and asked him how much would he charge us if we want him to take us straight to Paniman beach. He initially said it was up to us. We said P100.00 Some tricycle drivers would offer to take you from Guijalo port to Paniman beach for P300.00. Our driver agreed to lower it down to P250. 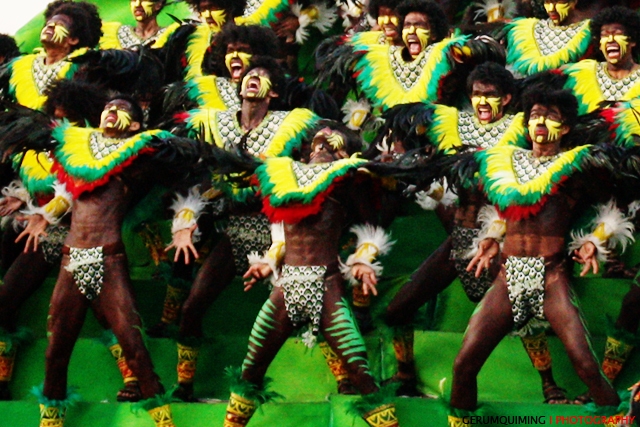 If you’re group, you can probably haggle to as low as P250 or even P200. 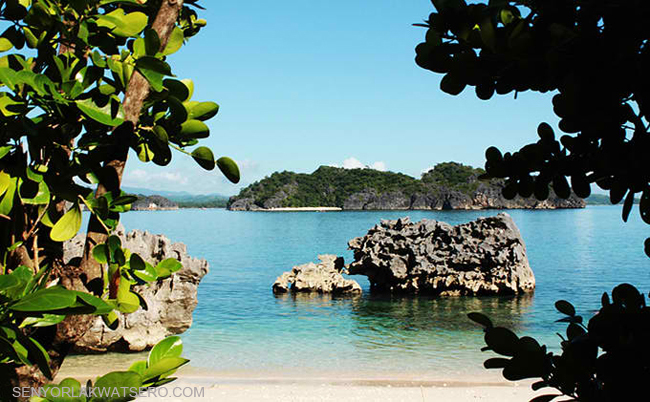 Unfortunately, since we camped during our visit to Caramoan, I couldn’t give any recommendation on any of the hotels and accommodations in Caramoan. 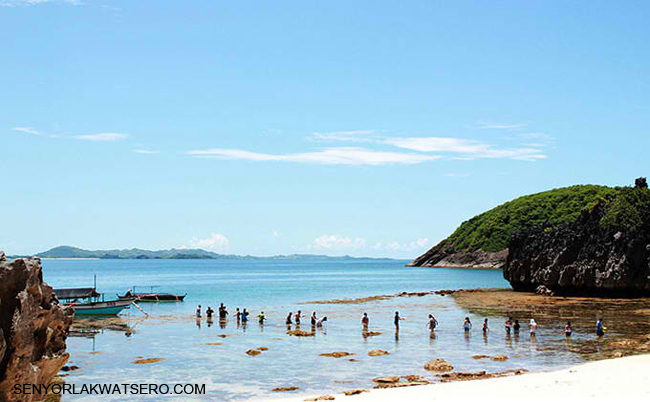 However, should you need information on where to stay during your trip, you may refer to Virtual Tourists’ Review on Caramoan Hotels and Accommodations. 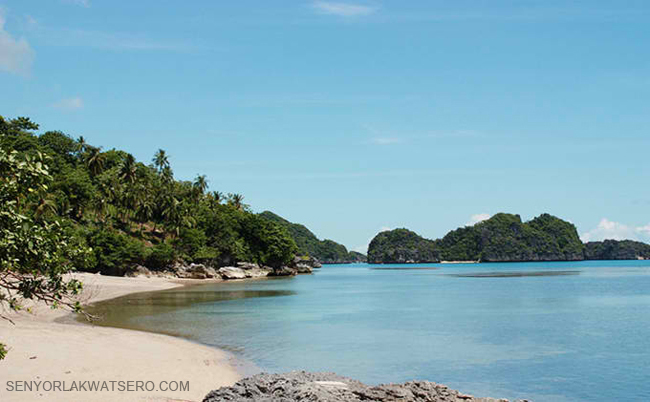 Note: A half-day island hopping would cost P600-P800 and a whole day would cost P1200-P2500 depending on the location of the islands you wish to visit. Ramil’s contact number 09074351962. I promised Ramil I’m going to post his contact number on my site so visitors could contact him for his services. This is my way to repay the genuine hospitality he showed us. 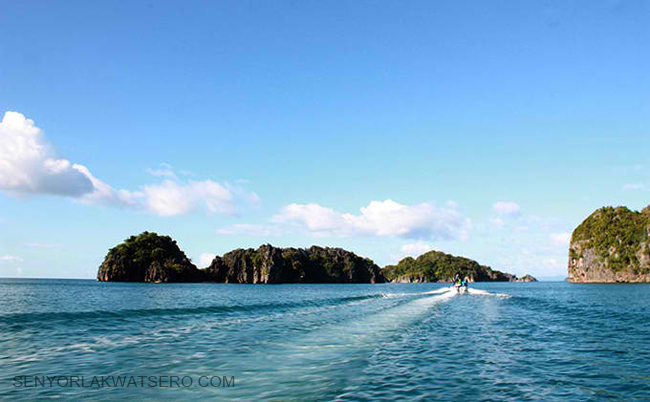 Ramil also told me that there is a faster way of getting to Caramoan. This is via Catanduanes. 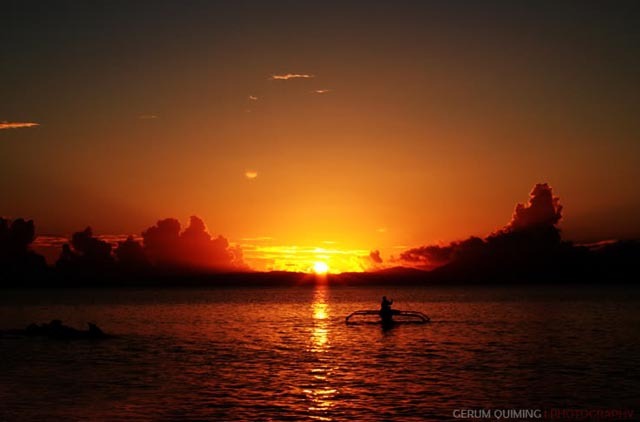 Take a flight to Virac, then travel to Virac seaport. 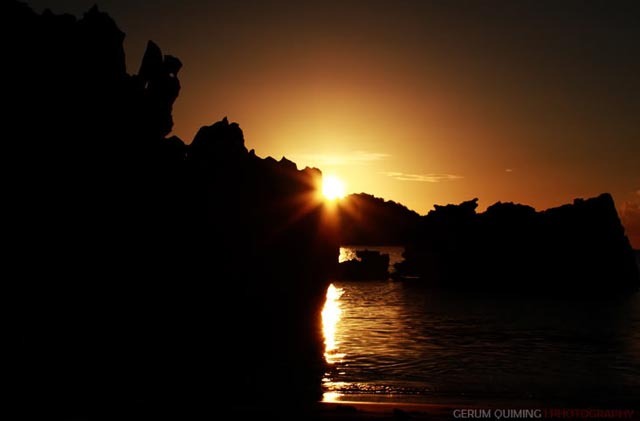 Ramil would meet you there and take you to Caramoan using his boat. Maximum number of passengers is 9, including the bangkero and his assistant. hi…your post is a very big help for those who want to go to camaroan island..like me and friends who are leaving on the 22nd of this month are not so keen on where to stay and what to do when we get there,,is it really worth it? ?thank so much and God bless!! Hi beth! I’m glad you found the information written here helpful. It was definitely worth it. 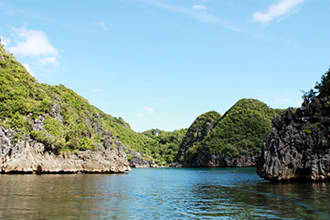 I’m sure you’d be amazed with the sceneries in Caramoan. As far as toilet and showers are concerned, there was none. We borrowed a container filled with freshwater from our boatman and that’s what we used to rinse of before we go to sleep at night. For toilet, I guess you just need to improvise like what we did. Cabutongan beach can be a good campsite. There is freshwater there and I’m sure the small family who lives there wouldn’t mind sharing their toilet with you. There are accommodations at the town proper though. hi, are buses to sabang beach available anytime? how about the ferry to guijalo port? we are planning to book a ticket arriving at naga either at 11am or 430pm. what can you suggest? hi yvonne. for bus and vans going to sabang, I believe they are available anytime.the problem would be the ferry to guijalo port. ferry schedule to guijalo port is from 7am until 12 noon, and sometimes until 2pm only. wow nice! i wanna go here! your post is very helpful! and your pics are amazing! 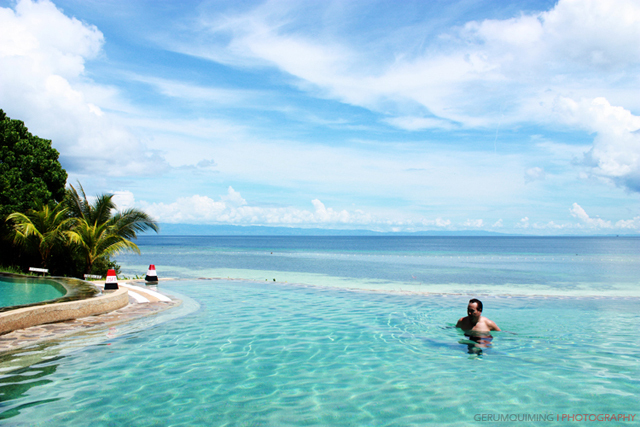 i’m planning to go there this coming holy week. yeah, i know it might not be a nice date at all but ’tis the only free time. anyway, is it advisable to go there with just the two of us or with friends (a group of 6-10)? what are the cons and pros? i’m not planning to avail any package tours (it kills the adventure, i guess) any tips on rates, boat rides, itineraries, islands to hop, etc? also, i’m interested to stay at least one night in gota village, is it advisable (rates, scenery, experience wise?) and another night for camping in an island, like you did (Matukad i guess?) and the last night in an inn in the city or someplace neutral to wrap the whole trip up. the photos are AWESOME. 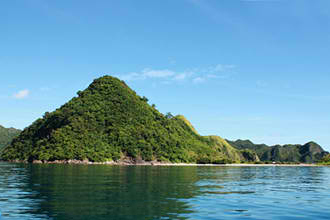 i’ve been dying to go to caramoan. i think this blog gave me that extra push. thanks for posting all these helpful tips. hi boss 🙂 you mentioned that there is a certain bangkero (ramil) who took care of your island travel. Do you have his contact no.? i recently went there and i was excited to experienced being carried on the shoulder but unfortunately it was no longer permitted. they constructed a “floating ladder” and have to pay 10 pesos for it. 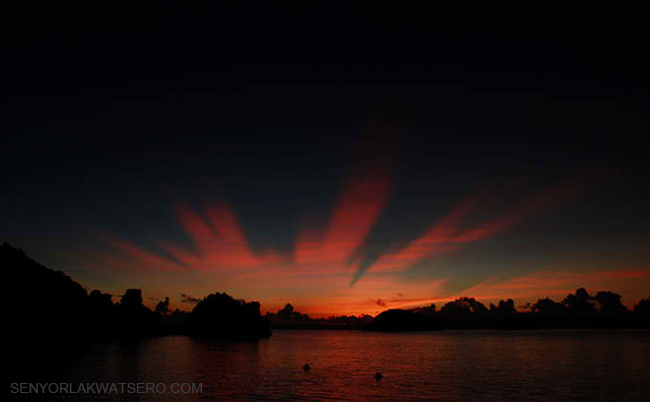 It seemed that you missed cotivas, sabitang laya and manlawi, this three islands were also worth to be visited. 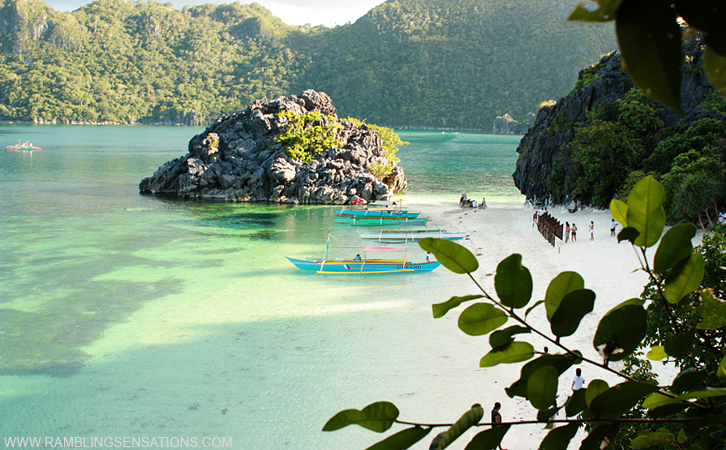 bro how much would it cost me to go to caramoan? im planning to bring my car.. is it advisable? or plane nalang? dalawa lang kami ng gf ko punta. pinakamalaking gastos nyo siguro would be the island hopping. 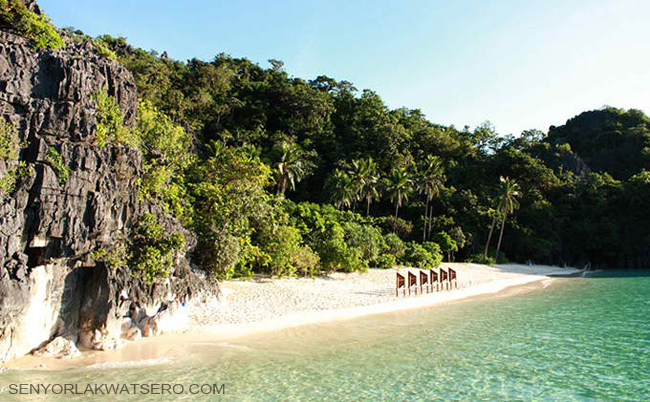 more than P2500 yung malalayong island. and depende din yan sa type of accommodation nyo. 5K each should be a comfortable amount. pwede nyo pang isama ang side trip to Camsur watersports complex. leave your car na lang. take the plane, or train or sleeper buses. so you don’t have to worry about leaving your car somewhere sa Sabang. 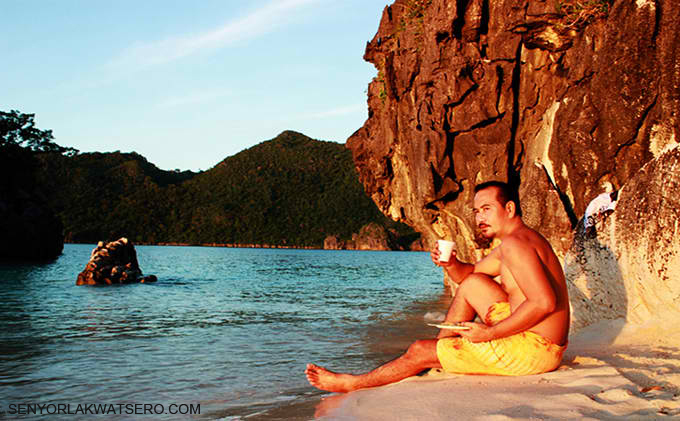 ah sa mga island bro walang mga resto? did you bring your own food? 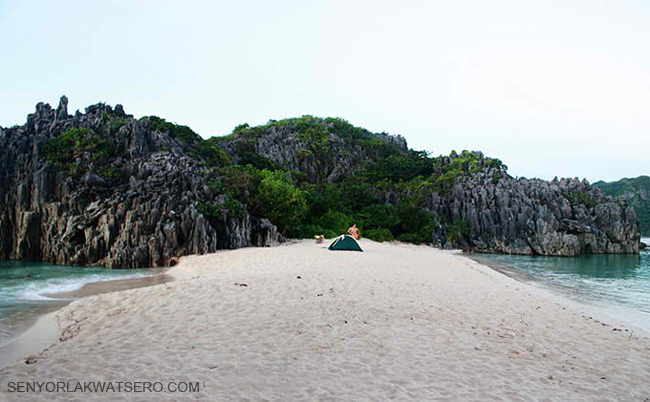 and meron bang tent for hire or we should bring our own tent, kahit anong island pwede ka mag camp? sorry dami tanong.. this will be my first time to camp in a outing trip.. thank you senyor..
Hi! are matukad and lahus islands safe? i mean, are there other people camping there? we would really like to go camping but we also wat to feel secure if we do.thanks! nice post.Planning to go there by feb. I just hope the prices hasnt changed that much since dalawa lang kami. Yung mga boats ba sa Sabang come and go lang wala silang schedules? Kasi i read sa isang blog na 2 hrs sila naghintay, Im looking for the exact time schedules sana pero wala ako mahanap. hi!i just texted ramil and he replied! wow, it was just a try, but it still is his number.we’re planning to go there next next week and we plan to camp. but someone told us that it’s not allowed to camp–waaa! eh we have no extra budget for lodging na mahal! sorry, i have a lot of questions. it’s my first time to camp, and we dont know what to bring. what about comfort rooms? are there cr’s available? our ETD at NAga is 4am. are there vans to Sabang that early? Is there a camping fee if we camp in any of the islands? Is there a market nearby? thank you for posting this and thank you for posting ramil’s number! we are so excited. Went there 16 & 17,camped in Matukad (dalawa lang kami and solo namin isla). Nagising kami 12am kasi sobrang lakas ng hangin na parang bagyo, akala namin uulan pero normal lang daw yun. Sabi ko itali yung tent pero takot kami nung una kasi sabi mayroong mga snake fish na pumupunta ng pangpang pag gabi, pero we see crabs na nagbubungkal sa tapat ng tent namin. 🙂 so cute ..
Just called Kuya Ramil. I talked to his wife instead… Already scheduled a trip on the 26th! I hope everything works out! Thank you! This blog’s a big help for us budget travelers! That was awesome! Good thing I searched the web stumbled on your blog… Kuya Ramil was a big help! and super nice too! My friends traveled almost 13hrs from Manila (Mine took 6hrs from Albay). My friends were like “Make sure that this long travel’s worth it”. lol We were planning to camp out but decided to stay in a inexpensive lodge near Kuya Ramil’s place. They charged us P300/head for an AC’d room. Kuya ramil cooked “Laing” and “adobong natural” for us. The next day the waves were huge so kuya ramil told us that we can’t go to the nearby islands coz of the waves, so we went to Cotivas Island instead and another island (forgot the name). It was amazing! the sand bar, the turquoise sea? heaven! It was all worth it! Thank you for the tips! I’m checking your blog for more planned trips! More power! Is it s till allowed to camp in Matukad? Thanks in advance!